Seniors hold massive spending power and the majority of bank assets today. They are also at the greatest risk for fraud and financial abuse. In fact, one in five seniors report that they have been victims in some form or another. Fraudsters continue to develop new scams to rob seniors of their hard-earned life savings, but banks are increasingly adopting creative approaches to help protect their older customers. The ABA Foundation has increased its attention to the issue as well, developing tools and resources to help bolster the work that bankers are doing to protect their valued customers. We created Safe Banking for Seniors in 2016 as a bank community outreach program that equips bankers with presentation lessons, activities and other materials to educate older Americans and their caretakers. To date, more than 1,100 banks and 44 state bankers associations have signed on to help educate and protect older customers in their communities. In continuing to add new tools to the Safe Banking for Seniors arsenal, the ABA Foundation launched a new component to the program called FinEdLink. FinEdLink is an automated platform that helps connect senior-focused community groups with local bankers for banker-led educational presentations. The platform matches banks and community organizations with the common goal of providing senior consumers with the knowledge, tools and capabilites to make better informed decisions about securing their finances. The foundation piloted FinEdLink last fall with a small number of bank partners to ensure this new tool was a simple and seamless way to connect banks and local organizations. Bank of the Rockies in Montana, a 2017 ABA Foundation Community Commitment Award winner for its elder fraud education program, known as “CONversations about Cons,” was a trial participant. Bank of America, a Safe Banking for Seniors program sponsor, also participated in the trial version of FinEdLink late last year, using it to collaborate with the Arlington Partnership for Affordable Housing in Arlington, Va. Through the new tool, the bank was able to coordinate a successful education program for seniors in one of their key markets. Banks can use FinEdLink by registering to participate in the ABA Foundation Safe Banking for Seniors program at aba.com/seniors and checking the box to opt in to FinEdLink. Opting in allows a bank to accept requests for presentations from senior-focused community organizations in their area. The tool also helps the bank coordinate dates, venue, participants and other logistics. Topics for community presentations range from learning about scams and identity theft to choosing a responsible financial caregiver and understanding responsibilities as a financial caregiver. The ABA Foundation provides free presentation materials for banks to use and will also help facilitate any match that needs assistance. Our goal is for FinEdLink to be key in reaching older customers so they get the training they need to protect themselves and their money. 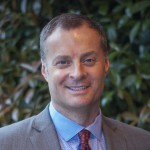 Corey Carlisle is senior vice president for bank community engagement at ABA and executive director of the ABA Community Engagement Foundation.